Don't risk losing important irreplaceable data. See the list of features BackIT offers to keep your data secure. 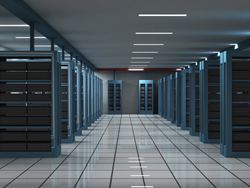 Your data will be stored securely in military-grade data centers. These data centers meet government standards for data protection. BackIT Online Backup’s software utilizes three levels of encryption to protect your data everywhere in the backup process. Your data is encrypted locally, in transit, and at rest in the data center. For more detailed information, go to the BackIT Online Backup website. Online Signup available. Use the application on an unlimited amount of servers and workstations. Only pay for storage space.